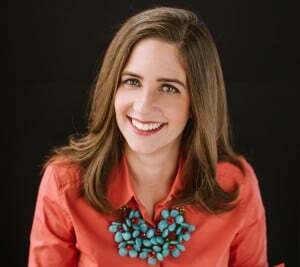 Working on name recognition this spring? 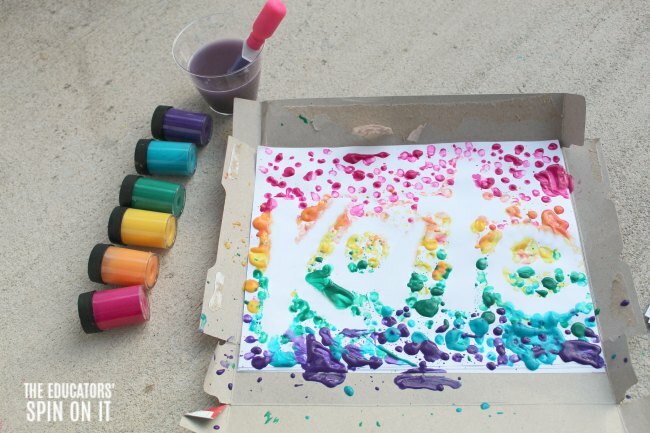 Your child will have so much fun with this drip painting rainbow name activity. 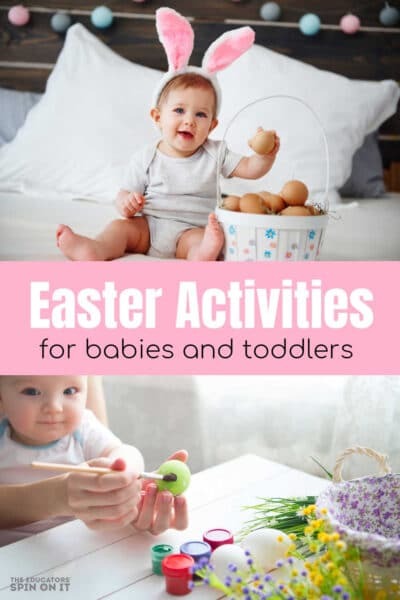 The vibrant rainbow colors will have your child recognizing the letters in their name in no time plus you can even add more to make it an alphabet activity too! 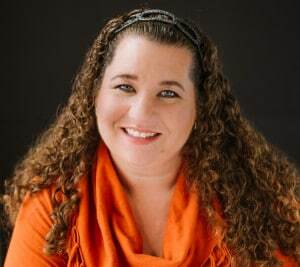 Disclosure Affiliate links to Amazon used in this post. as we focus on Rainbow Week! In the story a little boy imagines what it would be like to have his own rainbow to play with. After spending all day looking he then comes home to find a real rainbow shining on his wall. 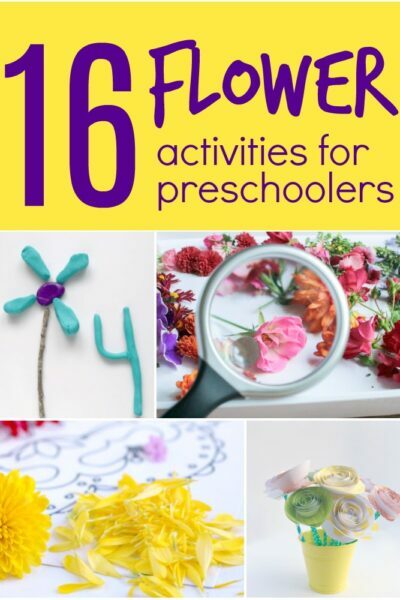 This charming book has colorful illustrations that captured the imagination of young children. 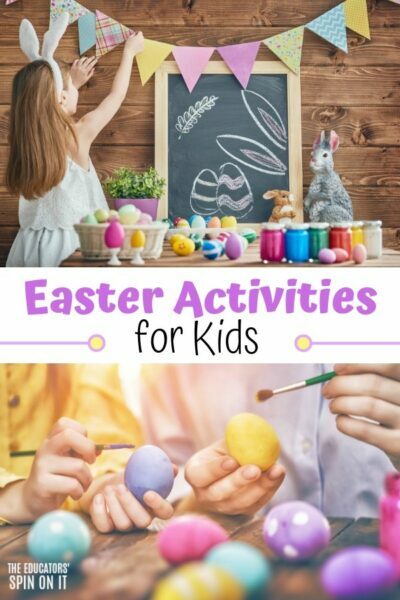 The story bounces between the child’s imagination and what really happens, which is ideal for preschoolers and toddlers who are learning to identify between what is real and what is pretend. 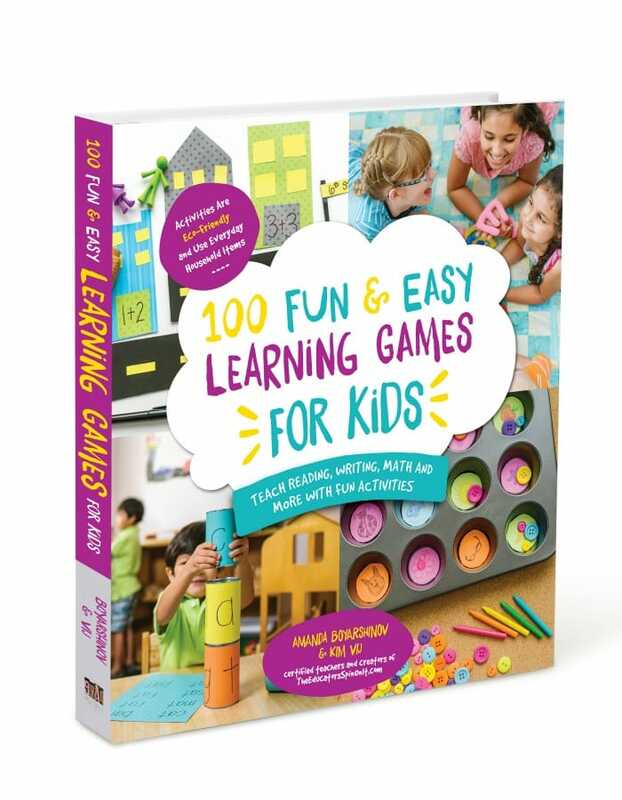 I excited to see we’re sharing it for ur Weekly Virtual Book Club for Kids Series. 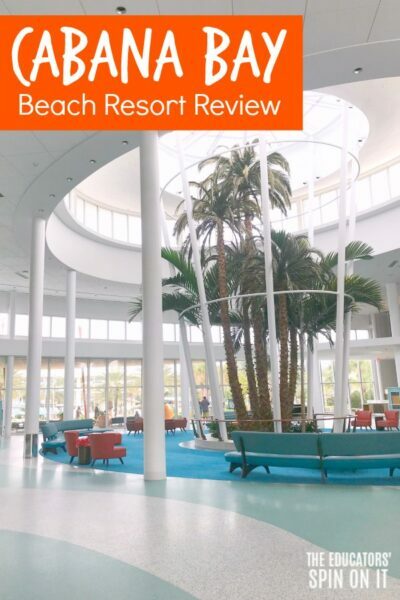 Have you printed your Spring Book List yet to follow along? inspired use to create our very own rainbows too. Plus we snuck in a name recognition activity too. 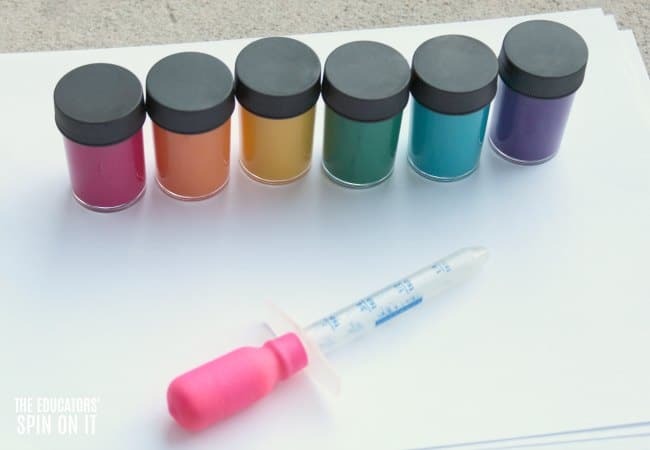 We wanted to simply have fun with the colors of the rainbow so we grabbed this colorful paints and a dropper AKA old medicine dropper and got started! 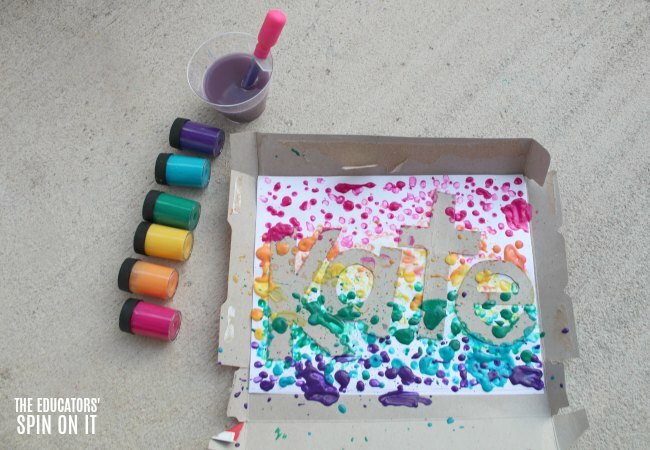 Here’s what you’ll need to make your own Rainbow Name Activity with your child. 1. 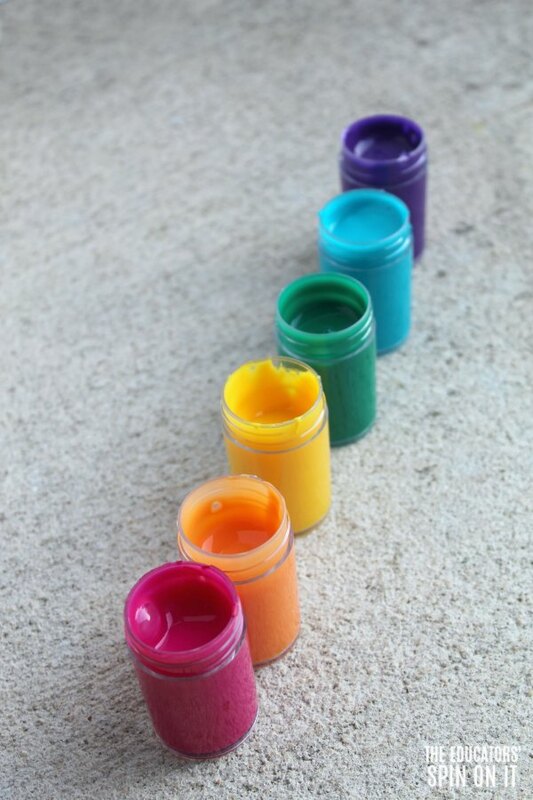 Set up a station for mess with this activity with paint and a ink dropper. Trust me on this one. We just headed outside to our front porch and used the rest of the cereal box to make our mess on. Recycled newspaper would be great to layout on your table in you’re doing this indoors. 2. Sit with your child and discuss the letters in their name. Then draw them onto the recycled cardboard with them. Be sure to use uppercase for the first letter of their name and lower case for the other letters. This is one thing that is important to learn for Kindergarten readiness. 3. 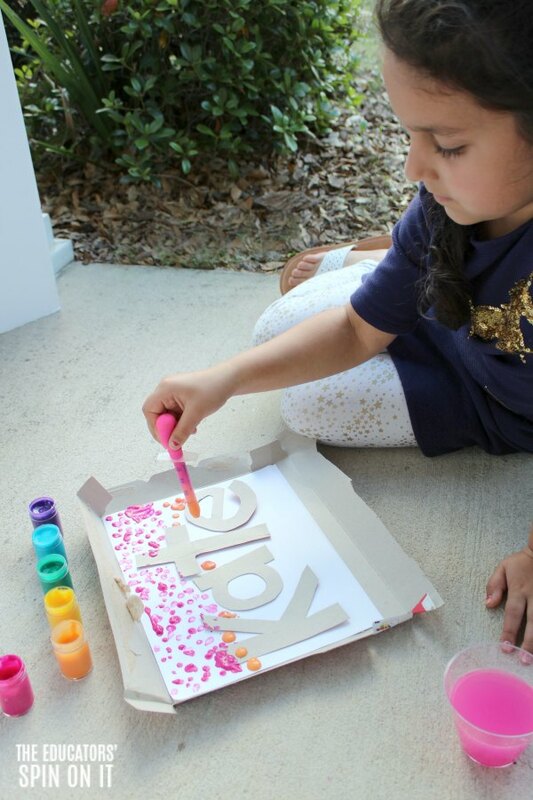 Cut out the letters of your child’s name and have them lay them out onto the white cardstock in the correct order. If they need a little extra room for a long name just add a few more sheets of cardstock. If they need help with putting the letter of their name in the correct order you can write their name out for them and have them match the order with the letters. 4. 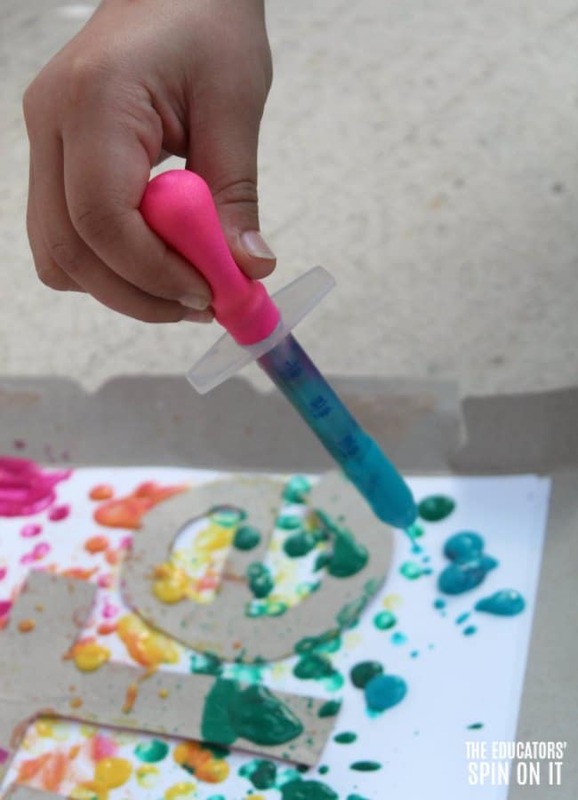 Using the medicine dropper or smaller dropper it’s time to ADD THE RAINBOW paint! We used a little plastic glass of water to wash the dropper in between the colors. It was a fun color changing experience too as the colors joined together so be sure to talk about color blended too and the magic behind that. TIP: Start painting from the top down to create a rainbow effect! We set out our paints by talking about rainbow order. Our paint box was vibrant paints so we talked a bit about how the dark pink would represent our red color. One by one use the colors to drop onto the paper. It seemed like the high my daughter held up the dropper the easier it was for her to do tiny tiny drops. You might want to test it out on another sheet of cardstock before you start so they get used to the technique of dropping paint. SKILL: This activity with the dropper works on the same muscles needed for handwriting. As your child paints around the letters be sure that they remain in place, you could take them down if needed. Also make sure that they try to get the ink drops along the edges of the letters for the most dramatic effect. If needed you can also have them go around the letters with a cotton swab to ensure every little bit is covered. TIP: As the paint gets less in the dropper the tiny tiny bits of paint splash out making a really neat design too, it’s a much faster squeeze to make that effect on the dropper. Try it out! 5. Once the paint is dry you can have your child remove the letter outlines on the paper. You’ll discover that you’ve created a paint resist that has their name in white. Frame it and hang it their art work up on the wall! BONUS: You can also use the letters of their name for another project too since they will have the Rainbow colors on them too. Once your child has rainbow on the brain you’ll discover they’ll want to paint so many other new pictures with rainbows in them. Be sure to have enough paint available! 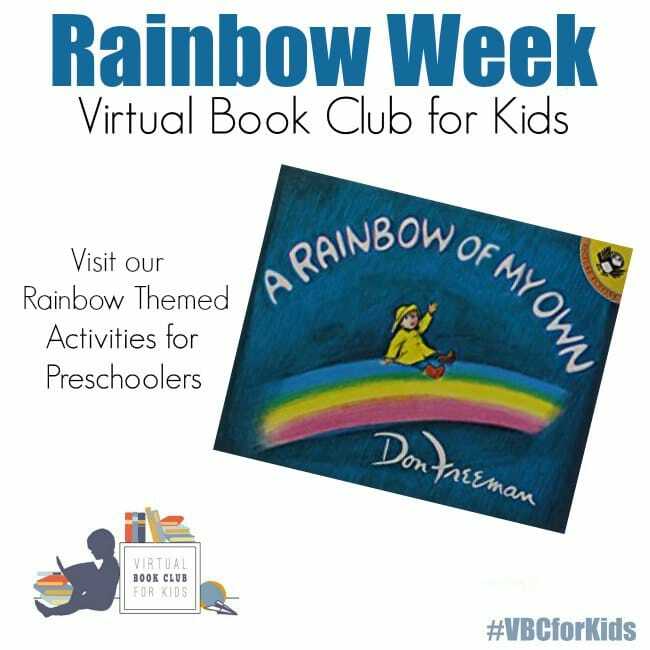 This week the Virtual Book Club Cohosts are sharing their favorite rainbow activities for your preschooler. Be sure to check them out below and come into our Virtual Book Club for Kids Facebook group and share how your Rainbow Project turned out! I love process art that turns into a beautiful project! These paintings would be perfect to frame and display! So is it regular tempera paint or liquid watercolor or do you thin the tempera with water?